In 2007, a report generated by Hydrocarbon Development Institute of Pakistan according to which, about 50 percent of oil in Pakistan is used for transportation. From which, about half of the oil is consumed by passenger cars and small trucks. Due to improvements in aerodynamics, material, stability and controls, the overall efficiency of vehicles has appreciably increased. However, the average fuel consumption of new vehicles has not reduced much from about 14 liters per 100 kilometers because of increase in the sale of larger and less-fuel-efficient cars, trucks and SUVs. For saving fuel, it is not only required to drive sensibly, but it also involves buying the right car, maintaining it responsibly and using it appropriately. 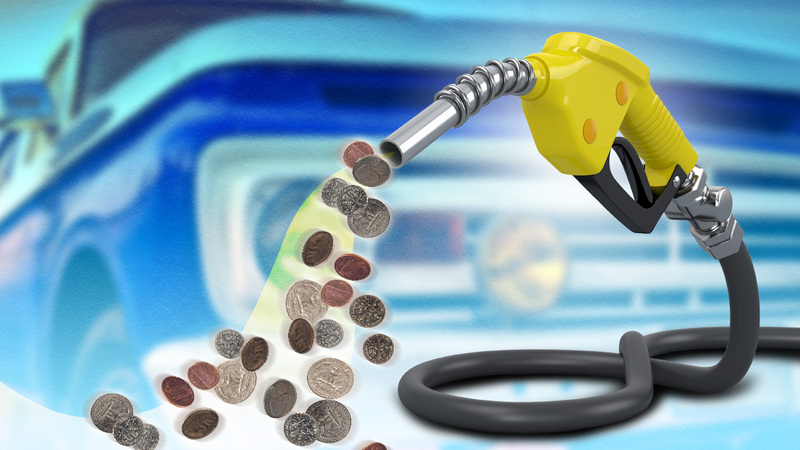 The fuel consumption of car depends on many factors, for example, the type of the vehicle (sports, SUV, sedan, etc. ), the weight, the transmission type (automatic or manual), the size and efficiency of the engine. Most of the fuel at higher speeds is used to overcome aerodynamic drag, which is the force applied by the engine, needed to overcome this drag. This resistance force is directly proportional to aerodynamic drag and the frontal area. Therefore, a sleek-looking, aerodynamically designed vehicle with contoured lines that coincide with the streamlines of air flow has a smaller drag coefficient and therefore, better fuel economy than a boxlike vehicle with sharp corners. The box design is the talk of the past, but many old cars are still in use in Pakistan. 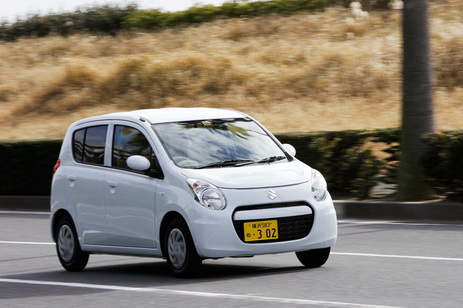 For the same overall shape, a compact car has a smaller frontal area and thus better fuel economy compared to a large car. For the given engine size, extra weight requires more power and hence causes reduced efficiency. For that matter, a car with the proper power-to-weight ratio is fuel efficient. Most common during bumper-to-bumper traffic, the abrupt and aggressive starts waste fuel, wear tires and increase stresses on components of vehicles. The sudden stops wear the brake shoes and may cause the driver to lose control. Using less braking means using less fuel to accelerate to the speed back again. Smooth starts and stops save fuel, reduce pollution and are more courteous to other people also. Tailgating is quite common in Pakistan and perhaps, the main reason behind traffic pile-ups. Drivers, unable to maintain a safe distance have to do abrupt stops and starts, which they could avoid by using the three-second rule to keep a safe distance. In Germany, tailgating is a punishable motoring offence. For safer driving and better fuel economy, a driver should avoid high speeds on open roads. A research was done by EPA and US Department of Energy that states, “Aerodynamic Drag and thus, fuel consumption increase rapidly at speeds above 55 mph (or 88 km/h)”. 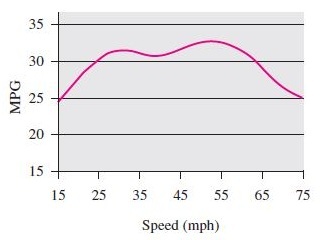 Aerodynamic drag increases and thus fuel economy decreases rapidly at speeds above 55 mph. From above chart, it is clear that driving slow does not mean good fuel economy. Below 30 mph (or 50 km/h), the fuel economy decreases as the car is being driven at slower speeds. Therefore from above discussion, it is evident that a moderate speed of 88 km/h leads to greater fuel economy. Cruising, meaning driving at a consistent speed without any fluctuation will result in better fuel consumption. It should be understood that every time the accelerator pedal is pressed, more fuel will be pumped into the engine. Therefore, for a better economy, the vehicle should be accelerated gradually and smoothly. Steady driving is easier on the nerves and better for the heart. Since we understand that higher the RPM speed means higher the engine speed. Lower engine speeds reduce fuel consumption as well as engine wear. Therefore, using overdrive (fifth gear in a manual transmission) should be utilized. The air conditioner uses considerable power and thus increases fuel consumption about 3 to 4 percent at highway speeds and about 10 percent during city driving. The best method to save fuel from air-conditioning is by running the air conditioner on economy mode. New paints and ways are being tested to keep the car cool on its own, so it decrease the use of air-conditioning to create an impact on not just fuel economy, but emissions as well. If there is no climate control in the vehicle, then how to use A/C on Eco mode? Nice article. I’ve been coasting / gliding my cars for years and I get atleast a 2kmpl better milage than average. Gadha gadhi to kharmasti main lage rahenge, hmra tmra kia banega? 1. Tailgating is a known hypermiling technique which actually reduces fuel consumption of the tailgater, but increases the consumption of the car in front. Tailgating can save fuel at the expense of safety. 2. “the average fuel consumption of new vehicles has not reduced much from about 14 liters per 100 kilometers because of increase in the sale of larger and less-fuel-efficient cars, trucks and SUVs”. Is this sentence about Pakistan? Because here, the sale is only of Mehran. It is true that cars have become heavier due to safety requirements. Toyota and Honda have been updating their models, Suzuki has not. For each successive generation, Corolla becomes heavier and people report it as being underpowered. Mercedes fitted a new Bluefficiency engine in an old 190D got exceptional fuel economy. Pakistan could also take a similar path in which body change does not happen but rather, the internals are changed to avail the fruits of newer fuel economical engines. Of course talking about those cars whose bodies are already streamlined. Paksuzuki did a huge disservice to Pakistan by not moving to EFI well before 2012. Had they done so, Pakistan would have saved a lot on fuel imports. They should be punished for this. Very good its means after some time your on /off switch should be replace with new one. It is very easy to replace the compressor, condenser and other mechanical stuff, but replacing the switch is a nightmare. Therefore I always keep my cars’ A/C on. After thousands of kilometers of running, starting, stopping etc. with A/C always on, I can say that I have seen no additional repair work. And the switch is also fine.